Fencing next Wednesday (5th March) will not be at Birkdale School but will be at our alternative venue The Park Centre!!!! Also, the session on the 19th of March will be at the Park Centre. This is because of activities in the school. If you are not familiar with the Park Centre the address is – The Park Centre, Duke Street Sheffield S2 5QP. 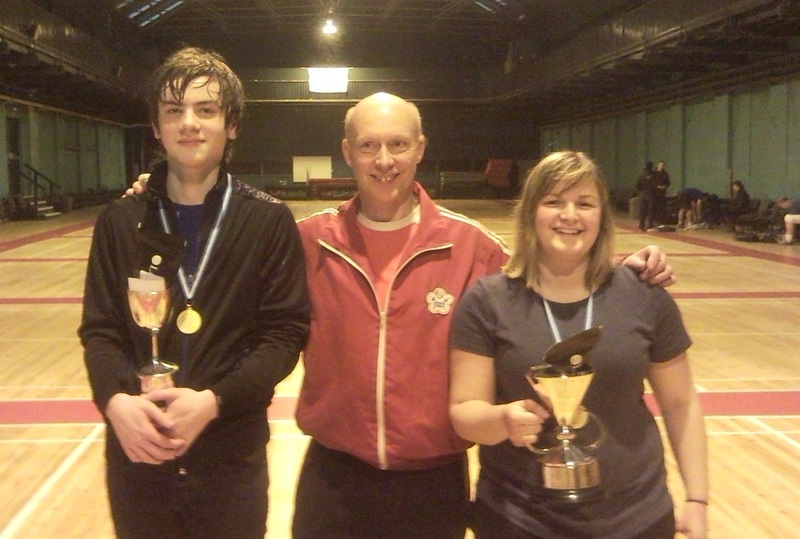 On Saturday 22nd February at the York Railway Institute the Yorkshire Senior Foil took place. The Men’s Foil was won by Buccaneers fencer Nathan Doherty and the Women’s Foil was won by Buccaneers fencer and coach Helen Solly. Nathan remained undefeated in the pools defeating Ruairi McKay, Vinton Cheng and Nick Wynne on his way to the final against Andrew Chang, a previous winner of this event. Andrew had defeated Mike McKay and Tom Exeter in tough matches on his way to the final and we were anticipating a tough task for Nathan. However Nathan very quickly built up a convincing lead with a mixture of attacks, counter-attacks and ripostes and was leading 7-1 at the first break. Nathan eventually finished at 15-10. Helen again was undefeated in the pools and on her way to the final defeated Laurie Hanquinet and Kate Harris on her way to the final and defeated Gillian Stone 15-12 in the final. Helen has won this event now four times. Other fencers representing Sheffield Buccaneers at the event were – Mike McKay – 5th, Alex Wakeman – 6th, Adam Blight – 9th, Steve Watson – 11th, Ruairi McKay – 15th, Ibrahim El Amrani – 23rd and fencers who regularly train with us were – Nick Wynne – 3rd, Alex Spencer-Taylor – 6th, Alex Bolton – 16th. In the Under 14 Foil event which ran alongside the Senior Foil events Ayman El Amrani came 5th and Pheobe Newton-Hughes 6th, the event was won by Ethan Wong who trained with us last Wednesday and comes regularly to our weekend coaching and training. Following on from Sheffield Buccaneers victory in the Yorkshire Team Foil in July, that leaves our club holding all the trophies for Yorkshire Senior Foil events and firmly establishing ourselves as the Region’s strongest club for foil fencing. No Fencing Wednesday 12th February!!!! Due to the unavailability of Birkdale School and no other venue being available, there will be no fencing on Wednesday 12th February!!!! Anyone who wants to fence should come to Mount St Mary’s Fencing Club on Monday, I will be there, Mike and others will be there too. To get full details of this Club, go to http://adamblight-fencing.com/mount-st-marys-fencing-club/ .